The Great House, or Casa Grande, is protected by a roof constructed in 1932. Photo by Henry D. Wallace. The spirit of community empowers new legislation to expand Casa Grande Ruins National Monument. 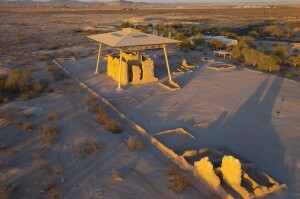 Located about an hour south of Phoenix, the monument preserves and interprets an important portion of an ancient Sonoran Desert landscape once inhabited by a community of farmers, builders, and artisans known as the Hohokam. These people built the Casa Grande, a four-story adobe structure that dates to the 1300s. A bipartisan group of Arizona Representatives—Paul Gosar (R-4), Ann Kirkpatrick (D-1), Raúl Grijalva (D-3), and Ed Pastor (D-7)—introduced the legislation on June 26, 2013. It is clear that these cosponsors truly listened to the Gila River Indian Community, whose ancestors built the remarkable structure, and to the nearby modern communities of Coolidge and Florence, Arizona. All three communities expressed unanimous support for the proposed boundary expansion. Each derives economic benefit from the 70,000 people who experience the Casa Grande each year—and an expanded national monument should bring even more visitors. Adamsville preserves a high-walled, oval-shaped Hohokam ballcourt on its eastern margin. Photo by Henry D. Wallace. The Casa Grande has long commanded attention and welcomed visitors from afar. Jesuit missionary Father Eusebio Francisco Kino was the first European to see the structure, in 1694. He mentioned thirteen smaller houses nearby that were “somewhat more dilapidated.” Three years later, Kino returned with a military companion, Captain Manje. Manje, too, interpreted the surrounding ruins as evidence of a once-major city, a place where people had knowledge of governance. 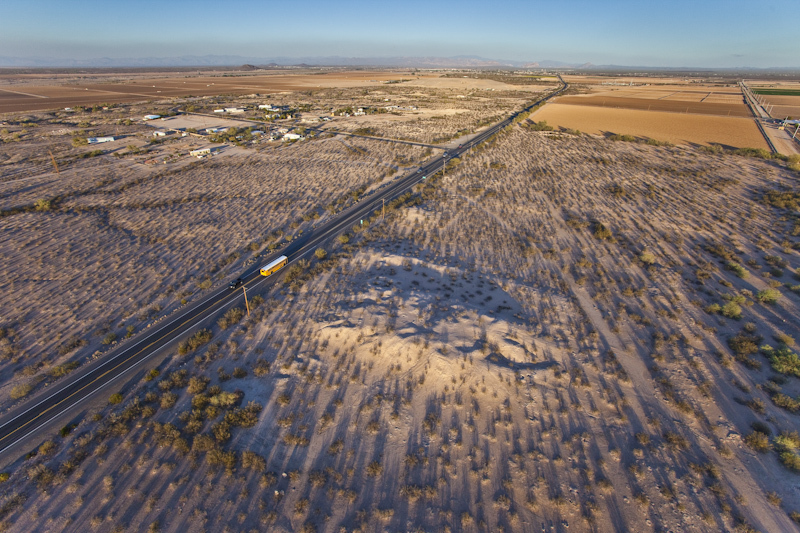 He described the impressive irrigation canal that nearly encircled the Casa Grande community as further evidence of his conclusion. Twentieth-century archaeological research firmly established the astonishing true scale of this ancient community. The Casa Grande was the center of an ancient town at the terminus of a 22-mile-long irrigation canal that was flanked by other, smaller settlements every three or four miles. The expansion plan seeks to add one of these, a site known as Adamsville, into the Casa Grande National Monument. And before Casa Grande, there was the Grewe site. Archaeologists consider this settlement to be the ancestor of the one at Casa Grande. Much of it lies east of the current monument, preserved below plowed fields. This would be included in the boundary expansion, as well. The setting sun highlights the platform mound at the center of Adamsville, a 14th century Hohokam village proposed for addition to Casa Grande Ruins National Monument. Henry D. Wallace. In the late nineteenth century, members of the nation’s young, but growing, preservation community were quick to perceive the threat that westward expansion posed to the Casa Grande. Their campaign to protect the site succeeded in 1892, when President Benjamin Harrison designated 480 acres as the nation’s first archaeological reserve. Now, more than a century later, the bipartisan legislation represents a critical opportunity to broaden that protection. 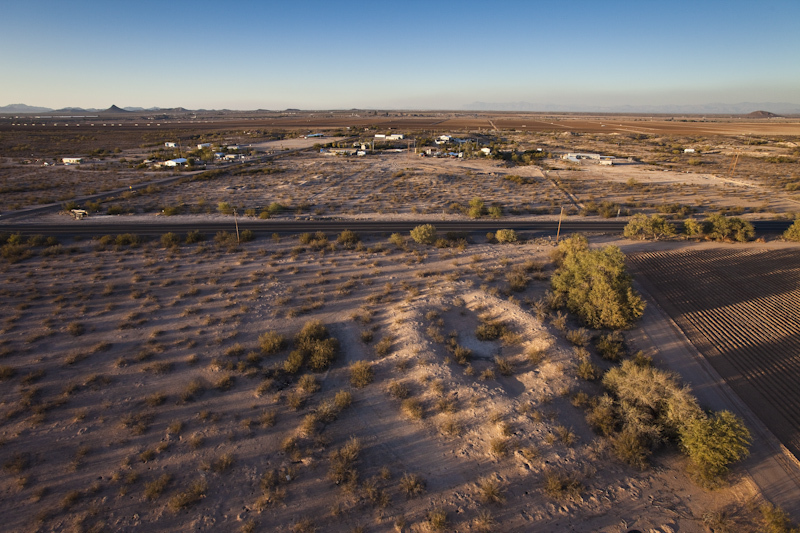 Although modern development has destroyed so many of the archaeological traces of the Hohokam along the Salt and Gila Rivers, places such as Casa Grande, Grewe, and Adamsville remain. An expanded Casa Grande National Monument would better represent the diversity of Hohokam culture and accomplishments—through time and across the landscape—and it would help archaeologists interpret that story for the public. The nonprofit Archaeology Southwest appeals to the spirit of the Preservation Archaeology community to strongly advocate for a “grander” Casa Grande Ruins National Monument. 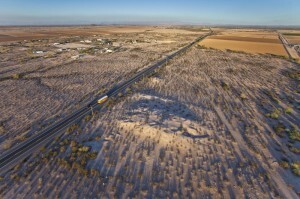 They are offering a free download of a 2009 issue of Archaeology Southwest Magazine to help people become better informed about the Casa Grande. They also highlight other actions that you can take to support this effort. Many thanks to William H. Doelle, President and CEO of the nonprofit Archaeology Southwest, for this featured landscape report.